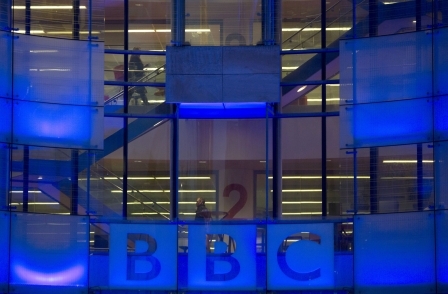 Rona Fairhead is in line to become the new chairwoman of the BBC Trust. The former Financial Times Group chief executive is the front-runner to replace Lord Patten, who stood down in May for health reasons after a turbulent three years in the job. The BBC reported on its website that Fairhead had been appointed to the role, and in doing so would become the first woman to chair the BBC Trust. But a statement from the Department of Culture, Media and Sport described her only as the Government's "preferred candidate". Fairhead will now appear before the Culture, Media and Sport Select Committee for pre-appointment scrutiny on 9 September. Culture Secretary Sajid Javid said: "Rona Fairhead is an exceptional individual with a highly impressive career history. Her experience of working with huge multinational corporations will undoubtedly be a real asset at the BBC Trust. "I have no doubt she will provide the strong leadership the position demands and will prove to be a worthy champion of licence fee payers. "I am sure that under Rona's leadership the BBC will continue to play a central role in informing, educating and entertaining the nation." Quoted in The Sunday Times, Fairhead said: "The BBC is a great British institution packed with talented people and I am honoured to have the opportunity to be the chairman of the BBC Trust." She said she was "under no illusions about the significance and the enormity" of the job. Education Secretary and minister for women and equalities, Nicky Morgan, said: "I would like to congratulate Rona Fairhead, I know she will be an excellent BBC Chairman. "This is a milestone moment – and comes at a time when there are more women at work than ever before, represented at higher levels of management. "Diversity in the media is incredibly important, and Rona Fairhead will be a valuable asset to the BBC. As our public broadcaster the corporation has a duty to represent the people who fund it." The BBC Trust, as governing body of the corporation, upholds standards and controls licence fee revenue. Lord Patten's stint at the top of the BBC's governing body, which started in 2011 and was due to end next April, has seen him work with three different director generals and weather scandals including excessive executive pay and the corporation's disastrous Diamond Jubilee coverage. The peer, who had heart surgery seven years ago, said he stepped down ''on the advice of my doctors''. In July, Sebastian Coe signalled he had pulled out of the race to become the next chairman. The London 2012 supremo, who is chairman of the British Olympic Association, was reportedly the Government's preferred candidate for the role but told the Daily Mail he did not have the ''capacity'' for the job. The 1980 and 1984 1500-metre Olympic champion said: ''I did allow my name to go forward to give myself time to properly analyse whether I had enough time to do the job to the best of my abilities. ''On reflection, I haven't the capacity and I now want to concentrate on my current commitments and the International Association of Athletics Federations (IAAF) election. Other names mentioned in relation to the role at the BBC's governing body included Dame Marjorie Scardino, the former chief executive of the company behind the Financial Times, and Channel 4 chairman Lord Burns.